Here’s a quick and fun tip to add a little flare to your Xamarin applications whether in Xamarin.Forms or Xamarin Native! In a later post, we will also look at how to use the Shake Gesture to create useful tools for yourself as a developer, or for your users! This fun post is the foundation for the more serious stuff and will show you how to use the Shake Recognition to do just about anything you want. In order to handle shake gestures natively, we have to write some Xamarin Native code, but we will assume you are using Xamarin.Forms. We’ll start with Android. Let’s do this in the MainActivity since every Xamarin.Forms application needs at least that. 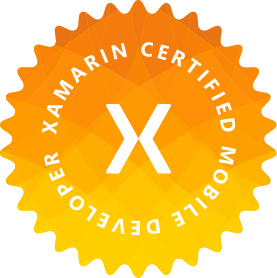 If you are using Xamarin Native or a mix, then you may want to implement this elsewhere such as your Application class or abstracted with a shared BaseActvity or add it as a field to the Activities you want it in. // Register this as a listener with the underlying service. /// Detects sensor changes and is set up to listen for shakes. // We have a shake folks! /// Execute the easter egg async. // HEY OVER HERE! DO SOMETHING COOL! Now all you have to do is add whatever your easter egg logic is in the EasterEggAsync method! In this method, you can also track what the current Xamarin.Forms Page is visible by tracking the App.Current.MainPage to add some context to the page your in. Now let’s look at the iOS implementation. // we did it! the app is launched! Now that we have registered with the UIApplication.SharedApplication.ApplicationSupportsShakeToEdit, we can start overriding the gesture recognizer. If you’re using Xamarin.Forms, you can do this right in the AppDelegate but if you’re not, then you can use this override method in any ViewController or even any sub-UIView class! /// Handles when a general motion has ended on the view controller. Doing this enabled the gesture to be picked up at the application level or in the current UIViewController. You need to ensure the CanBecomeFirstResponder is true and that you call BecomeFirstResponder() on appearing so that the MotionEnded override can be called. Once again, just fill in the EasterEggAsync method with whatever easter egg you want to invoke! Easter eggs can make a neat experience in your mobile applications, but using this shake gesture can also help make debugging easier as well as give a QA team the chance to quickly move through stories in the app. In a future post, we will talk more about these possibilities and the benefits of building testing and development options into your apps for testing rather than user-focused and fun easter eggs.